Development in toddler years is faster growth than at any other time! Alf Nicholson, RCSI Professor of Paediatrics at Temple Street Children’s University Hospital, and Toddlebox development expert, outlines what to expect as your toddler grows. Growth measurements are only a guide. They help assess your toddler’s overall development. On average, most toddlers are about three times their birth weight by the time they are one year old. 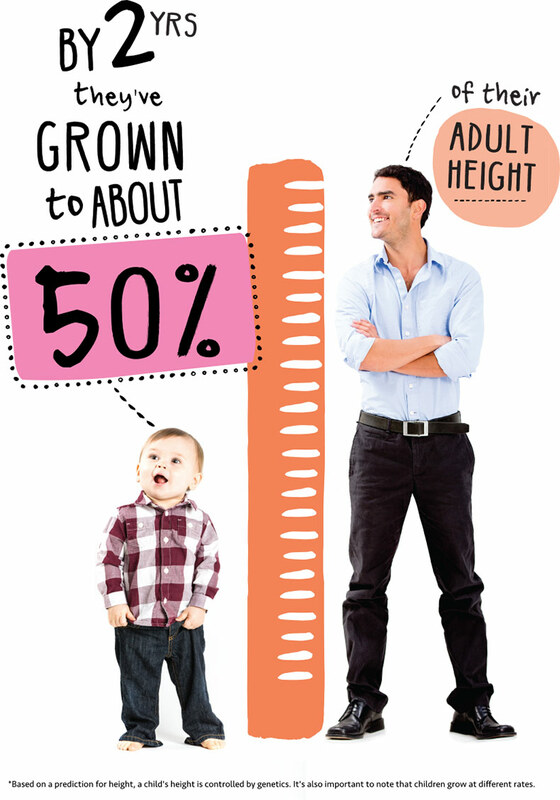 At just three years old, your toddler has achieved 40% of their adult height! Toddlers gain most of their weight between 1 year and 3 years. Toddlers should have at least three hours of physical activity spread throughout the day: e.g. crawling, walking, moving around the house, dancing, playing outside and exploring. On average, a child gains 2-3kgs (4.5 -6.5 lbs) each year until they reach puberty. Your toddler may gain weight slower or faster than this. Your health professional will work with you to monitor your toddler’s weight. If you have any concerns, talk to them. On average, a toddler will grow between 4-6 cms (1.5 – 2.5 inches) each year until puberty. Your toddler may gain weight slower or faster than this. If your toddler appears to be growing and developing normally, then weighing and measuring them twice a year is enough. Your health professional will work with you to monitor your toddler’s growth. If you have any concerns, talk to them. The right nutrition, with a healthy balanced diet and enough liquids is vital for your toddler’s development.